Our expertise in marine & outdoor LED lighting design and prototyping allows us to provide custom-tailored solutions for your lighting needs, regardless of the final use. And, because we manufacture and supply outdoor LED lighting & marine underwater LED lighting, we offer custom solutions and the cost savings of vendor consolidation. 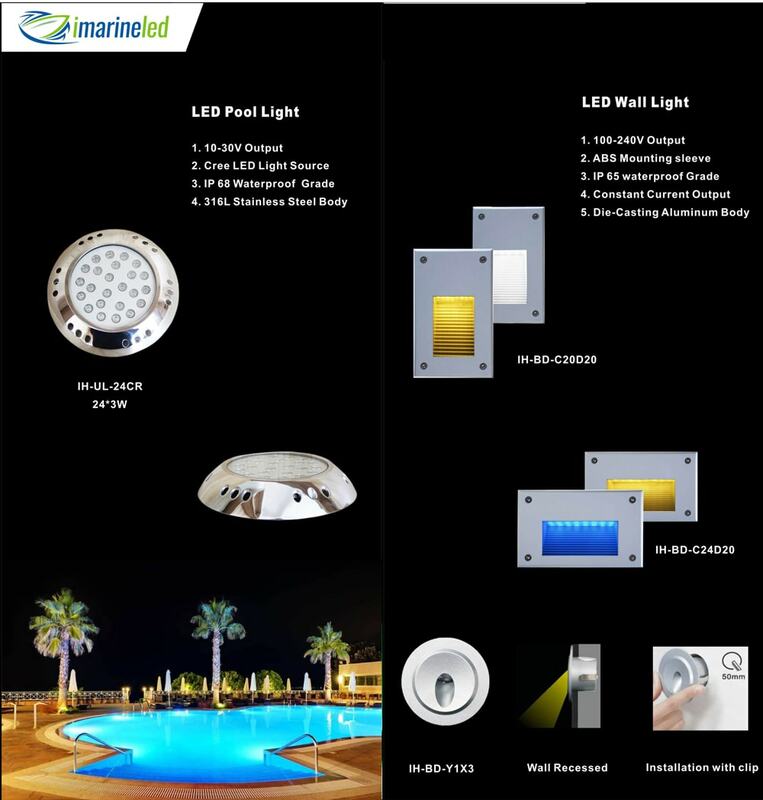 IMarine LED custom LED Underwater lighting manufacturing provides solutions for lighting distributors and suppliers, as well as commercial project purchasers, large and small. We manufacture lights for end use in outdoor and marine applications. Whether it’s a completely custom lighting or a tweak to one of our current LED light offerings, IMarine LED can deliver the lighting you need, when you need it. Ask us how. Marine LED Lighting: Underwater LED Lights, Boat Cabin LED Lights & LED Fishing Lights . 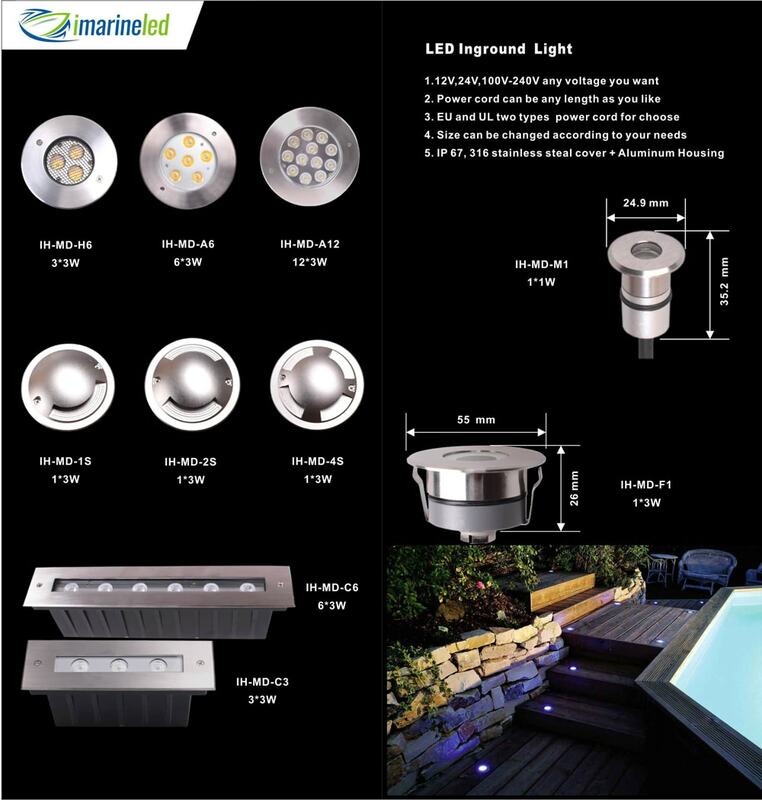 Outdoor LED Lighting: In ground Lights, LED Garden Lights, LED Pool Lights, LED Wall Light.